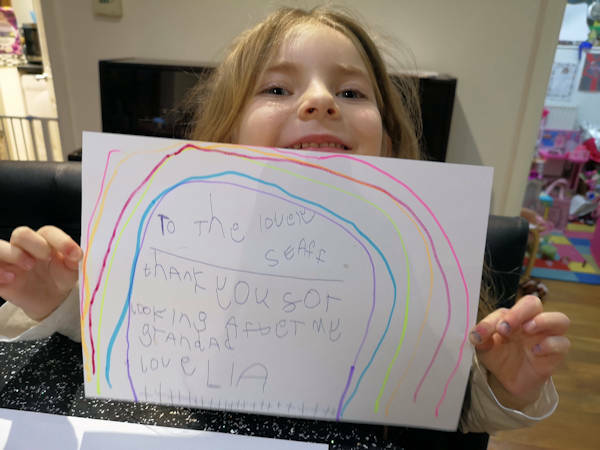 Five-year-old Lia Jones has joined a 40-day revolution of kindness currently being run by a Norwich church by offering a helping hand to nurses at the Norfolk and Norwich University hospital where her terminally-ill grandad, Paul, is being treated. 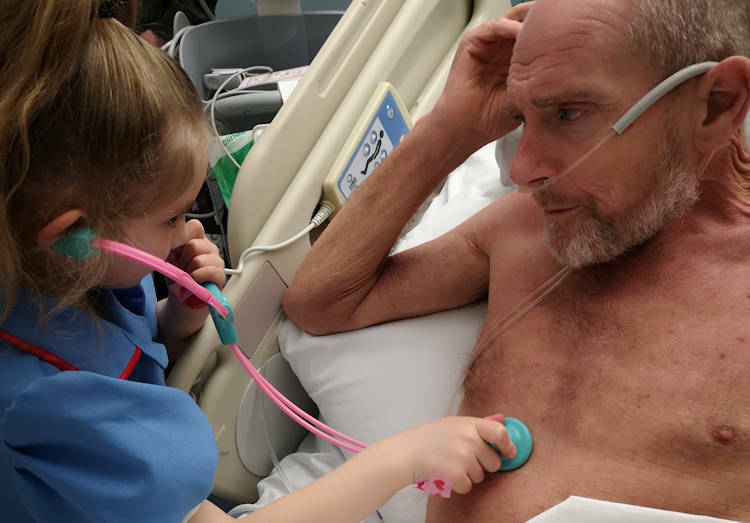 Paul Jones, aged 61, is currently at the hospital and is being cared for in the last stages of chronic lung disease and heart failure. Lia, from Kinsale Infant School which has joined the 1000 Hours acts of kindness campaign being run by Gateway Vineyard Church in Norwich during Lent, took it upon herself to draw several pictures for the nurses and some patients on the ward. Lia’s mum, Lisa, said: “Paul is a very lovely gentleman and a great asset to our family. Lia is aware of what is happening and visits her Grandad daily as we are an incredibly close family. “When we visit, Lia wears her nurse’s costume and voluntarily talks to the patients and will draw them pictures. She has drawn some lovely pictures for the nurses and all the staff on the ward who have displayed them on their cupboards so you can see them as you enter the ward. The hospital offers us all a great service when we need it and the staff work so incredibly hard. “Lia says she wants to be a nurse when she is bigger bigger!” says her mum. Gateway Church meanwhile are praying for Paul and the whole family. Pictured above is Lia Jones with her grandad Paul and with one of her thank-you drawings for nurses.